It is not for nothing that the founder of the automobile company Isuzu named the leadership of one of the most powerful industrial enterprises of Japan in the early 20th century - Tokyo Ishikawajima Shipbuilding and Engineering. It was under the auspices of this organization that a company was established whose specialization was the production of heavy automotive equipment using mainly diesel engines, the history of which by that time was only a few dozen years old. The debut step made by representatives of the company, which in the future became known as Isuzu, was the signing in 1918 of an agreement with the British company Wolseley Motors on the assembly of trucks by the Japanese under license from the British. Already four years later, in 1922, a truck of the A-9 model was presented. And the first own development, made at the Ishikawajima Automotive Works corporation, representatives of the future Isuzu was demonstrated in 1928. In 1933 Ishikawajima Automotive Works merged with another successful automotive company from Japan - Dot Automobile Manufacturing. As a result of the transformation, the organization was named Automobile Industries. The following year became even more important for the formation of future success. Having received an order from the Ministry of Trade and Industry, the company within its framework produced and produced the Isuzu model, named after one of the Japanese rivers. In the same year, the young corporation created a unit, which was to deal with research in the field of diesel engines. Three years later, after another restructuring, a new name for the firm was announced - Tokyo Automobile Industries. And in 1938, the first two trucks of the TX40 model came off the production line in Kawasaki. 40th years of the twentieth century became no less successful than the previous decade. Already in 1941, Tokyo Automobile Industries received permission from the Japanese government to manufacture cars equipped with diesel power units, becoming the only such company throughout the country. In 1945, the postwar production of the TX40 truck was resumed, and the active sales of the TU60 also began. And in 1949 the company was renamed to Isuzu Motors Limited. The only negative factor was the separation of Hino Works, one of the parts of the corporation, and the subsequent establishment of an independent company Hino Heavy Industries in 1942. The beginning of the next decade was marked by the successful development of the diesel V-shaped 8-cylinder engine with water cooling, which received the index DA80. In early 1953, Isuzu Corporation presented the first ever company, made in cooperation with the British firm Rootes, a Hillman car, which became a copy of the British car of the same name. By October of the same year, Hillman entered the conveyor production. And in October 1959 was marked by the beginning of the conveyor assembly of the truck Elf LT, equipped with an extremely economical diesel engine DA640. In the early 60's, a real production boom occurred, as a result of which representatives of the Isuzu company were presented to the public by a diesel engine for a DL201 car, the volume of which was 2 liters. Approximately at the same time, a new plant was opened in the city of Fujisawa, and new models of cars, the WASP truck and the Bellel and Bellet cars, were also on sale. In the second half of the decade, the new products were a large truck TM, as well as passenger cars 117 Coupe and Florian. The next decade also began with major presentations: in 1970, the Isuzu Forward cargo models were presented, as well as the Isuzu Elf 350 (KS). One of the most important events in the history of Isuzu was the signing of an agreement on cooperation with the American automobile magnate General Motors, which in 1971 became the owner of 35% of the shares of the Japanese company. The results of joint labor did not take long. Already in 1974, the assembly line for a Gemini passenger car developed within the framework of cooperation between Isuzu and General Motors began. Over the next few years, the company's lineup was also updated. So in 1977, the production of Isuzu Florian started with a diesel engine, and in 1979 debuted the diesel version of Gemini. A few years earlier, in 1975, the Isuzu North American division, Isuzu Motors America, was opened, whose prospects, in view of cooperation with General Motors, looked extremely serious. And in the very end of the 70s, the construction of a testing range for the Japanese automaker in Hokkaido was completed. Later, in May 1984, in the same Hokkaido, a new plant was opened. The beginning of the 80s of the 20th century foreshadowed new successes. The main confirmation of this is the rapid upgrade of the lineup. First, in 1980, a series of commercial Fargo minibuses entered the conveyor assembly, which were almost immediately widely used in Japan. Almost immediately, in the first half of 1981, the passenger car Piazza and SUV Rodeo Bighorn debuted, in 1983 Florian Aska model was put on the conveyor, after half a year celebrating the victory in the British RAC rally. And already in 1985 they introduced the FF Gemini car. In the same year 1985, the first representative office of Isuzu in China was opened, which was originally considered as the most important market. 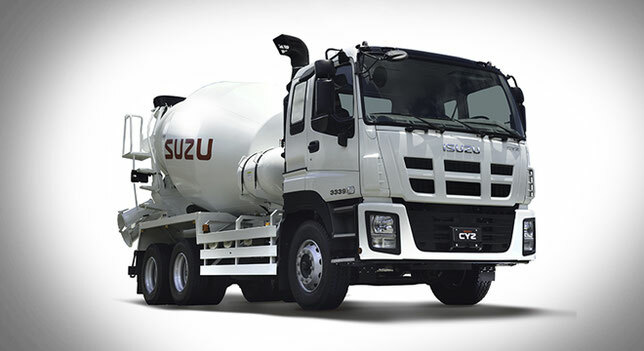 1987 was a landmark in the history of the company in connection with the founding of the joint venture Isuzu Motors and General Motors, which was named IBC Vehicles. Two years later, the fruit of common labor was presented - the debut SUV MU (Amigo), which launched a new class of "heavy passenger cars". At the same time, a joint venture with Subaru was founded. 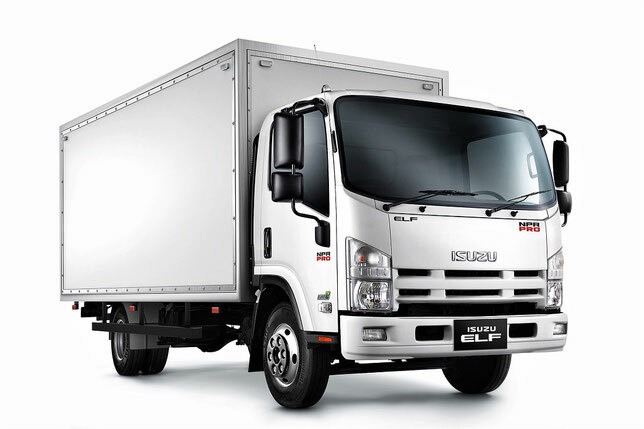 In the same year 1989, Isuzu became the world leader in the production of medium and heavy trucks. After the successful development in 1990 of the world's first electromagnetic brake in cooperation with Sumitomo Metal Industries, a joint venture with Subaru launched a new model of the Rodeo SUV, which in early 1991 was already in the US. A very important role in the history of development of Isuzu was played by the Charter of Environmental Protection, which was adopted in mid-1992, and according to which the company carried out its further activities. All decade passed under the sign of new developments and improvements. In 1991, debuted an updated SUV Trooper. 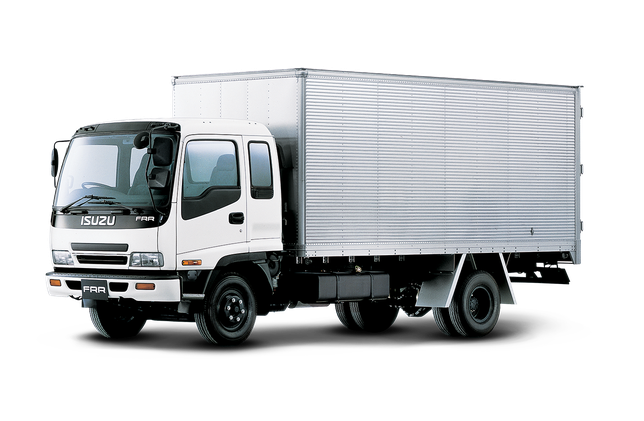 In 1993, the first representative of the Isuzu N series of commercial vehicles came off the assembly line. Next year, a series of commercial cars F, C and E were presented. In 1997, Isuzu showed the public another novelty developed specifically for off-road - VehiCross, and in 1998 it was marked The release of a truck Elf CNG, working on gas. At the same time, the 90s were remembered by the fans of Isuzu's developments and major successes at various competitions. So in 1994, the car Trooper won in two races Paris-Dakar rally, and two years later, the first place in the Australian safari took the model Holden Jackaroo. In addition, the organization received many awards for its innovative developments. And in 1999, the fate again brought Isuzu Motors with the company Hino, as a result of which was established joint production of buses. The beginning of the XXI century marked the receipt by the company representatives of new awards for successful development. In particular, 2001 was marked by the presentation of the diesel engine Duramax 6600, which was called one of the best powertrains in the history of the automotive industry. At the same time, the Japanese actively worked in foreign markets. At the same time, not only the USA and Asian countries, such as Indonesia, Thailand or Japan, received dividends from this work. The company Isuzu Motors gradually entered the European market. In 2002, a 3-year business plan of the Japanese automaker was adopted, which was supposed to minimize costs and make the company's revenue more solid. According to this plan, by January 2003 the share of ownership of Isuzu shares by the automobile giant General Motors had decreased to 12%. At the same time, these companies continued active cooperation. It should be noted the establishment of another joint venture, whose goal was the development of transmissions. According to the new business plan of the company, calculated from April 2005 to March 2008, Isuzu was to become the world leader in the production of diesel engines, as well as commercial vehicles and buses. It should be noted that the company did it. 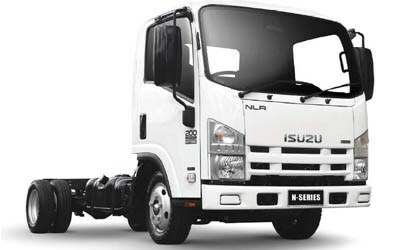 An important role in the development of Isuzu Motors as a world giant was played by the company's unique developments. In particular, debuted in mid-2005 truck Elf Hybrid with a mixed engine. After the introduction of new environmental standards in Japan in the same year of 2005, the very important step was the development of the Isuzu Giga truck, which became the first Japanese car in its class to meet these standards. After the dissolution of the alliance between Isuzu Motors and General Motors in 2006, these companies have set up a joint venture, which is already preparing for the presentation its new products, which, according to the plan, will pleasantly surprise the whole world.